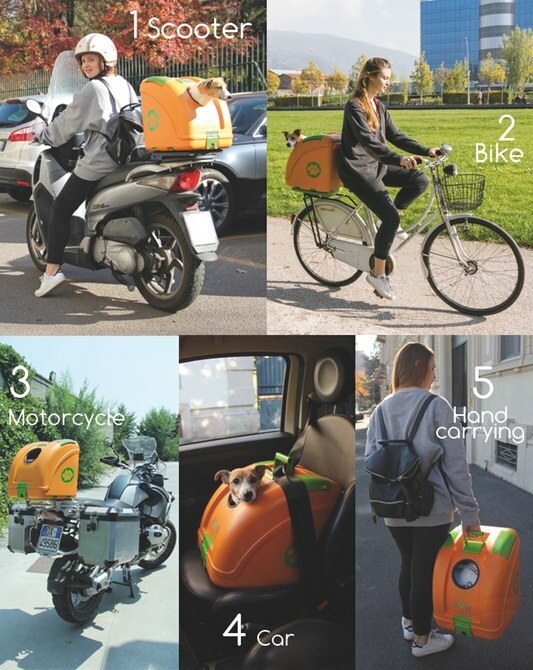 Carry Your Pet On Your Bike With Pet On Wheels | OhGizmo! As fun as it looks on YouTube, carrying your pet on your motorcycle can be hazardous. 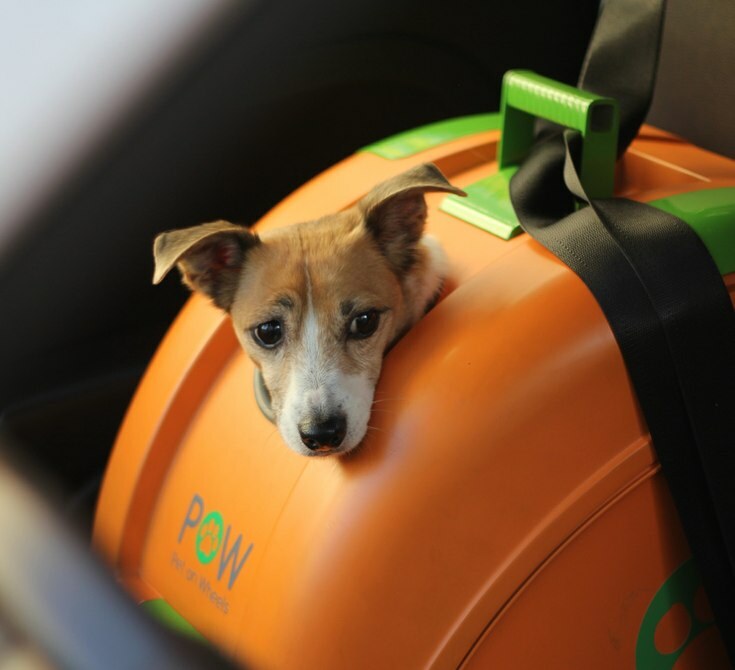 That’s why we welcome the carrier Pet on Wheels (POW). 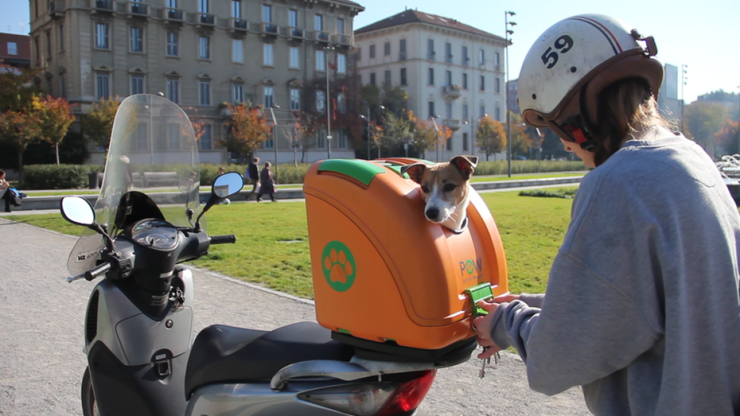 It’s a top-case designed specifically for carrying small-sized pets securely and legally on a motorcycle, scooter or bicycle. 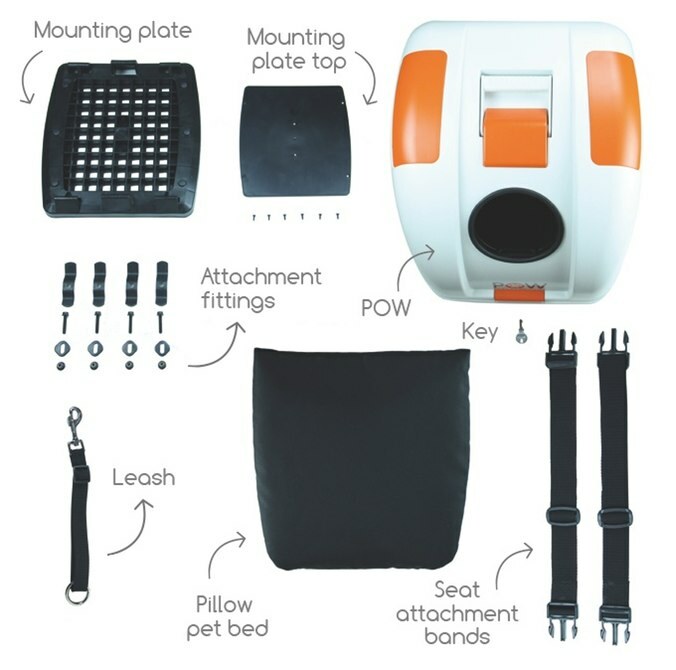 Made from injection-moulded plastic, it will easily fit pets up to 10 kg (22 lb). There are two ventilation holes, and a little cushion on the inside for your quasi-family member. 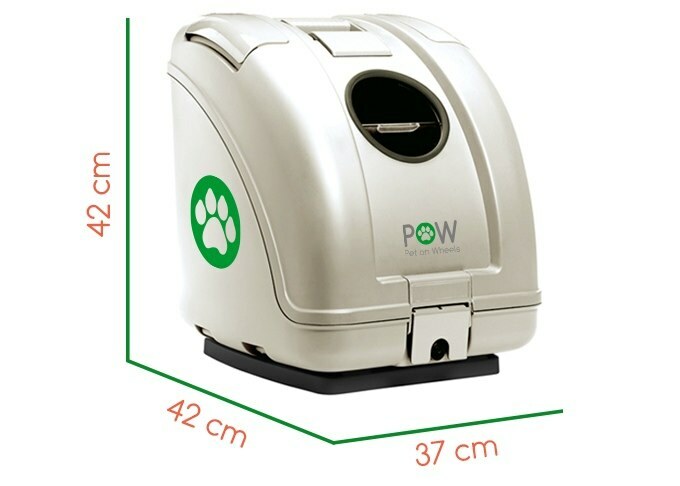 POW can be installed facing forwards or backwards, and a special hook on the inside lets you tie a leash to prevent your best friend from getting too much adventure and jumping out. Currently seeking funding on Kickstarter, a €99 (about US$110) pledge will get you one, with delivery in April.